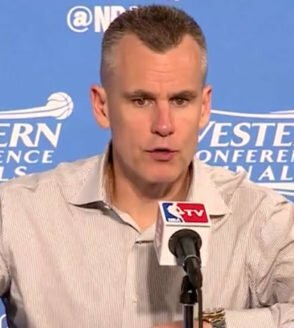 The Billy Donovan OKC Thunder Crunch Time Plays are some of the best set plays that were used in April / May 2016. These 4 Billy Donovan OKC Thunder Crunch Time Plays will put your guards in scoring areas for an open shot. Billy Donovan just finished the San Antonio Spurs Series where the OKC Thunder embarrassed them. In Game 1, The Spurs beat the Thunder by 32 points, but that didn’t stop Billy Donovan. The Rookie NBA coach came back in the series and made the Guru look bad. Coach Donovan has spent time with Coach Popovich, before the season and picked his brain. Billy Donovan got some much needed respect from NBA peers by beating Gregg Popovich. Donovan and the OKC Thunder vanquished Popovich and the Spurs last week with a Game 6 victory, making the Game 1 loss a distant memory and earning some respect for the rookie NBA coach. The Billy Donovan OKC Thunder Crunch Time Plays basically show that the OKC Thunder were ready for anything that the Spurs threw at them. Coach Donovan did an unbelievable job of adjusting and growing, game in and game out. Coach Donvoan used the regular season to adjust to the new environment. 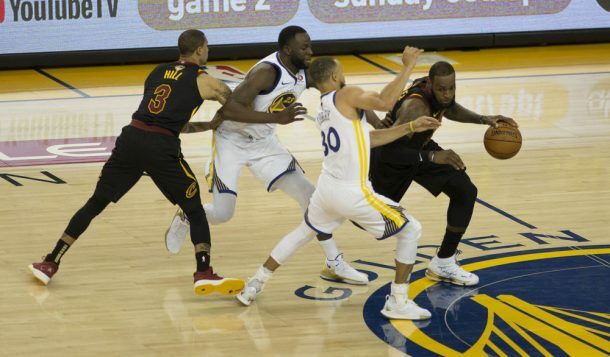 The basketball is different in the fact that the players are in different points of their lives, he learned how to calibrate his message, and get it to it’s essence. The OKC Thunder won 55 games and produced 109.9 points per 100 possessions during the regular season, according to NBA.com, a figure second only to the 73-win Golden State Warriors’ 112.5. Billy Donovan’s rotation management proved crucial considering that he used centers Steven Adams and Enes Kanter together for long stretches in every game after Game 1 to great effect. The Spurs had no answer to it. I think that you will see the same thing happen to the Golden State Warriors. Last night, the OKC Thunder stole a Game 1 on the road against the Golden State Warriors. Twitter : @John_Zall John Zall BIO: Coach John Zall just completed his first season working for the Dallas Mavericks in their Player Development Department where they advanced to the First Round of the 2016 NBA Playoffs. Prior to joining the Mavericks, Coach Zall served as an Assistant Coach at Division II Franklin Pierce University in Rindge, NH for 2 seasons. During his 2 seasons there, Franklin Pierce University finished with a winning record and in 2014 advanced to the 2nd round of the NCAA Tournament. Zall arrived at Franklin Pierce after spending the past 3 seasons as the Associate Head Coach/Head JV Coach at O’Bryant High school in Roxbury, MA. During his tenure at O’Bryant the program improved from 4 wins to 12 wins and qualified for the MIAA State Tournament twice. Coach Zall also has experience as an AAU Head Coach for the Boston Warriors. As Head Coach for the Warriors his team won the 2011 16U State Title and twice competed in AAU Nationals down in Orlando, FL. On top of being a student at Northeastern University, Zall was named Head Coach of the Men’s Club Basketball team for the 2012-13 season. During his lone season as Head Coach, Northeastern finished second in the Northeast Regional Tournament featuring colleges from throughout the East Coast. Coach Zall has also spent time as a Head Coach in the Bay State Games where his team won the Bronze Medal in 2012 and at various camps including: Five Star, Boston Celtics, NIKE, Franklin Pierce University, Hoop Group and The Elite 75.